Low approach slide bed recovery vehicles are the future. What was once an irregular operation has now become commonplace. An increasing number of exotic vehicles on our roads mean ground clearance is minimal, and it is not just the super car that gives the recovery operator a headache. All of the high-volume car producers offer variants with low ground clearance characteristics. The right approach means everything in this situation, a very low approach angle is mandatory if damage is to be avoided on low clearance vehicles. The future of low approach technology has arrived! The innovative So-Low is being described as the single biggest step forward in the carrier market in over 20 years! The tilt slide body delivers a lower than 4° approach angle without the weight and cost of heavy hydraulic motor driven rack and pinion or cable systems. 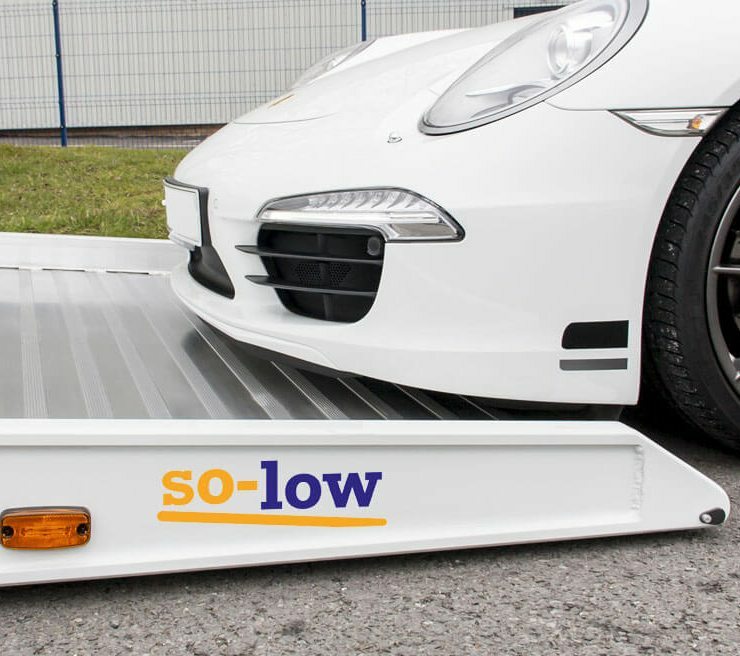 So-Low weighs no more than a conventional slide bed design. Which means you have a recovery vehicle system that can do more… much more! Fitting So-Low to an Iveco 7.2 tonne (gross vehicle weight) chassis returns an outstanding payload of 3 tonnes (6613 Ibs). Simplicity is the key. 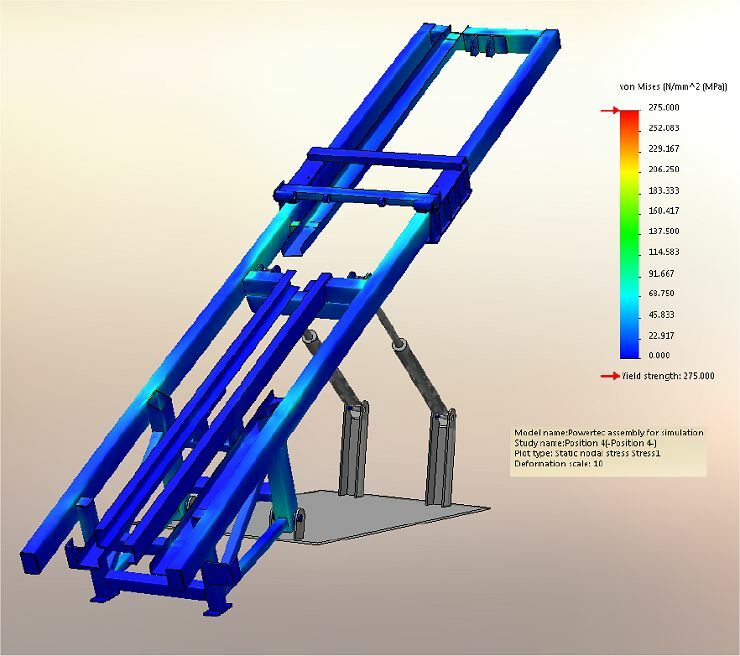 The patented, sliding pivotal alignment design has been produced using the latest finite element analysis techniques. So-Low has undergone extensive and rigorous field testing of its rugged roll back design. 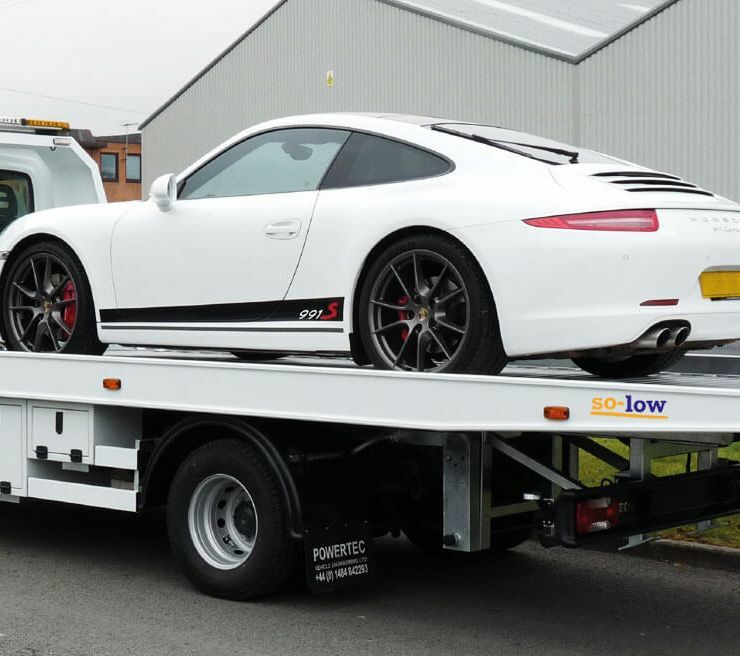 When loading a car onto a slide bed recovery vehicle it is desirable to ensure the operation takes place as close to the ground as possible. Safety for the operator is paramount, reduced height means safer access to the recovered vehicle for the operator. Remember, most of the injuries reported to enforcement agencies resulting from falls from vehicles are from a fall below head height and the most common area of the vehicle to fall from is the load area. Powertec Vehicle Engineering Ltd reserve the right to change the design without prior notice.